First of all, we take a quick look at some of the critical figures and data in the energy markets this week. We will then look at some of the key market movers early this week before providing you with the latest analysis of the top news events taking place in the global energy complex over the past few days. Related: Will Russia End Up Controlling 73% of Global Oil Supply? • The coal industry has seen its position in the United States rapidly erode in just a few years. With the writing on the wall, coal miners have hoped that exporting abroad would offer a lifeline. • But coal exports from the U.S. are also collapsing, falling by 23 percent in 2015 alone. That was the third consecutive year of declining exports. Exports are nearly half of what they were at their peak in 2012. • Coal exports at nearly all destinations declined, including Europe and Asia. Only India represents a growth opportunity for American miners. • Apache Corp. (NYSE: APA) has announced its decision to abandon oil exploration in Alaska. Citing low oil prices, the company would allow its leases to expire at the end of this year and leave the state. Apache had been exploring for oil in the Cook Inlet. 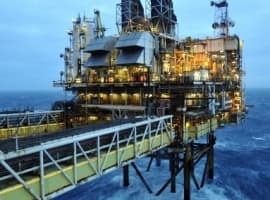 • Royal Dutch Shell (NYSE: RDS.A) has paid 1.77 billion euros to the National Iranian Oil Company to settled debts stemming from oil cargoes that Shell was unable to pay for because of sanctions. The payment could clear the way for Shell to make investments in Iran. • Electricite de France’s (OTC: ECIFF) chief financial officer quit due to his opposition to the Hinkley Point nuclear reactor in the UK, a deal that could put the company in financial jeopardy, he says. The partially state-owned company has yet to make a final investment decision on the $26 billion nuclear project, but that could come as soon as next month. Oil prices are showing some life, with Brent breaking the $40 per barrel threshold for the first time in months. More shale declines. 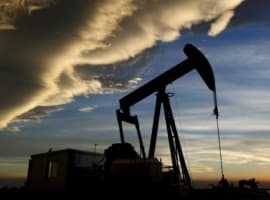 The EIA released its monthly Drilling Productivity Report, which projects that major U.S. shale basins will see production fall by 106,000 barrels per day in April, the sixth consecutive month of declines. It will also mark the second largest decline on record. All the major basins see output fall, including the Bakken, Eagle Ford, Niobrara and even the Permian basin, which has help up amid the collapse in prices. The bulk of the declines will come from the Eagle Ford (down 58,000 barrels per day), a trend that has become commonplace in recent months. The oil industry and its investors are hoping that the worst is over, but not everyone is convinced. “Only a real physical deficit can create a sustainable rally which is still months away should the behavioral shifts created by the low prices in January and February remain in place,” Goldman Sachs wrote in a new report. China’s oil imports hit record. China stepped up oil imports to take advantage of cheap oil while it lasts. There are some other forces at work as well that are pushing up imports. 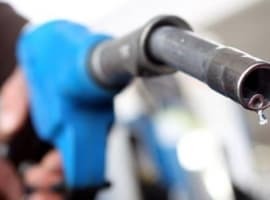 The Chinese government has decided not to cut retail fuel prices when oil falls below $40 per barrel, meaning that Chinese refiners can make more money selling within China than exporting. As a result, China’s exports of refined products are falling. At the same time, the government has granted more licenses to refiners, allowing the market to grow. That is increasing the demand for crude – resulting in higher imports. February imports jumped by 19 percent compared to January, pushing it over 8 million barrels per day, a new monthly record. Latin American oil producers to meet. The oil ministers of several oil-producing countries in Latin America are planning to meet in order to come up with a common strategy in the face of low oil prices. The meeting will take place in Quito, Ecuador on March 11, with the oil and foreign ministers of Venezuela, Colombia, Ecuador and Mexico expected to be in attendance. "It will be an important step ... to adopt a common position in Latin America ... in view of the next OPEC summit,” Ecuador’s foreign minister Guillaume Long said, according to Reuters. Venezuela and Ecuador are members of OPEC, but Colombia and Mexico are not. Shell suspends drilling in Nova Scotia. Shell Canada revealed on Monday that a piece of equipment broke off a drill ship and fell to the seafloor. Bad weather contributed to the complications, as Shell scrambled to seal the well with a blowout preventer and withdraw from the site. Shell was drilling an exploratory well off the coast of Nova Scotia in the Shelburne Basin but bad weather forced a retreat. Drilling operations have temporarily been suspended as a result of the incident. "Shortly after the well had been secured and the rig moved away from the well location, high waves and heave caused the riser tensioner system to release, resulting in the riser and lower marine riser package — which connects the rig to the well during drilling — to fall to the seabed," Cameron Yost of Shell Canada told the CBC. No drilling fluid was released and no workers were hurt, but the riser broke off and fell to the floor. Gorgon LNG begins. 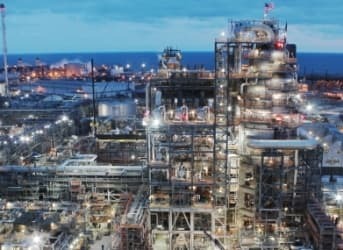 Chevron announced that it has started up its gargantuan LNG export facility in Australia, a $54 billion behemoth that suffered from delays and cost overruns. Gorgon enters an oversupplied market and it is hard to imagine any companies greenlighting additional mega-LNG projects like Gorgon for the foreseeable future given the prevailing market conditions. Brazilian President on the rocks. The WSJ reports that the unfolding drama in Brazil could knock the Brazilian President out of office. President Dilma Rousseff has been suspected of involvement in the Petrobras corruption scandal, although she has yet to be personally implicated. Separately, she has been accused of cooking the budget books. While these allegations are not new, the drama is picking up pace as the economy hit its worst recession in decades and a growing number of politicians abandon her.